Cube Jump 3D is a free Arcade Game for Windows 8 and 8.1 computers. Developed by Interstellar Games, this game is a simple game with awesome visual and sound effects. The game is about Mr Cube, who is on a mission. He was sent there by NASA, but right now he is in a trouble and needs your help. Help Mr Cube to make a way out through the debris by jumping over them. Go to Windows App store and type the name of the game in the search bar. You can also follow the Download link mentioned at the end of the article. Click Install to download and install the game. With a size of 8.66 MB, this adventure game for Windows 8 does not require much space on your device. Mr Cube can jump over only one debris at a time. To make a jump, simply click or tap (for tablets) on the screen. The gameplay seems to be easy, but its really hard to make accurate jumps. The gravity is low at the location where Mr Cube is stranded, so you have to jump accordingly. 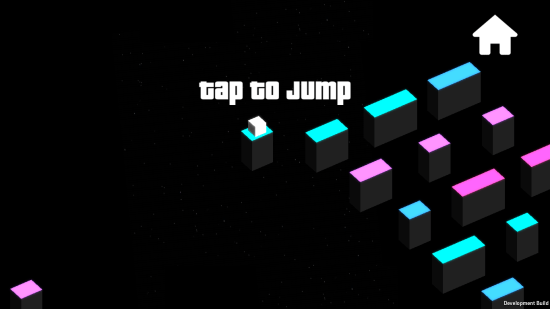 Make accurate jumps, or Mr Cube may fall infinitely into the space. Make jumps a bit before the debris reaches you. You fall if you miss the debris, or even when you land inaccurately on the debris. 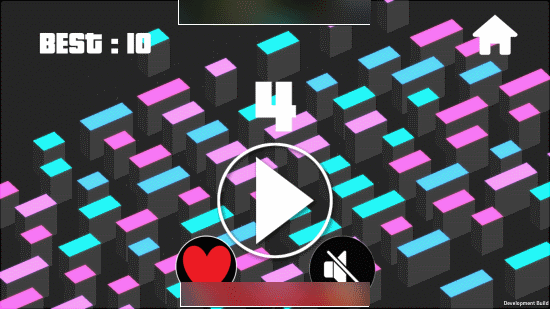 Reach as far as you can, and make high scores in this super addictive game. The key to play this adventure game for Windows 8 is that you have to be accurate and precise. Once you fall, the game gets over and you have to start all over again. This adventure game for Windows 8 displays your best score along with your present score when you fall. Though the sound effect is amazing, you can always turn off the sound. This free adventure game for Windows 8 is really addictive and requires a lot of accuracy to be played. The visual effect gives this game a very exceptional look. As the game is about Me Cube, who is stranded in space, the game maintains the theme perfectly. Not many options or game modes are available, however Space Cube 3D makes you stick to it. If you want to kill some time, this is the game for you. 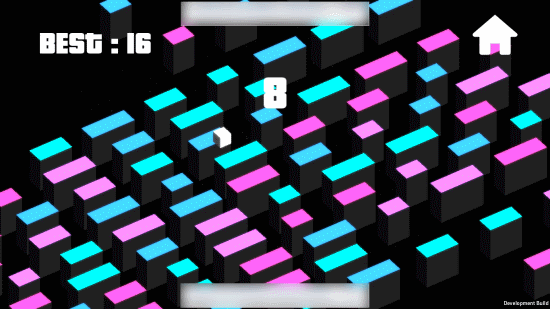 Download Cube Jump 3D for Windows 8 and 8.1.